Next Monday is Constitution Day, and marks the 229th birthday of the U.S. Constitution. Arguably the most envied, most copied, and most successful founding document in the history of the western world. But for a good portion of the American population the importance of the Constitution appears to have diminished. For many, the Constitution is nothing more than an outdated historical relic that is inadequate to the questions or concerns of the modern age. A “curiosity in a glass case,” as others have described it. A piece of ancient faded parchment written by immoral men with their own interests in mind. Men who are even less in touch with the modern world than they were with their own generation. Historically questionable characterizations of the Framers aside, do these arguments have any merit? 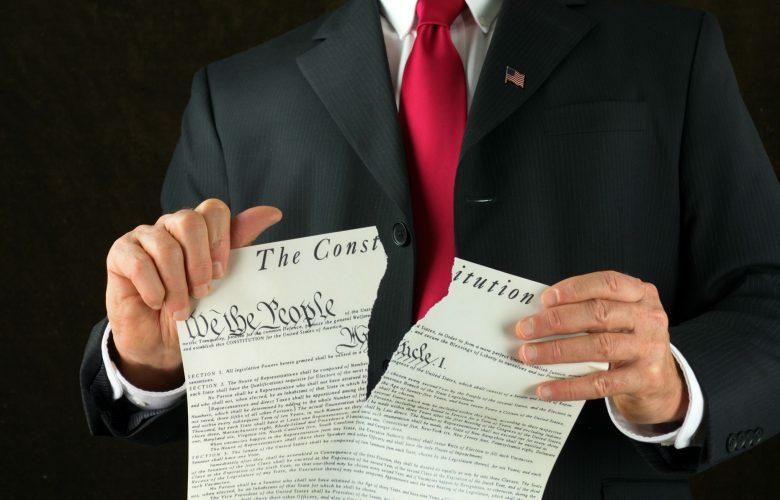 Does the Constitution still matter? 1) Do humans still crave power? 2) Should the collective be able to do whatever it wants to the individual? 3) Should the people be in charge of their own government? 4) Should there be any limits on what government can and cannot do? 5) Are good intentions more important than written laws? 6) Should government powers be kept separate? 7) Should government powers check and balance each other? 8) Should Congress or bureaucrats make the laws? 9) Should the president have absolute power? 10) Should the Supreme Court function as a “super-legislature”? Your answers to these questions will largely determine your views on the Constitution. The Framers were students of political history, and well-read ones at that. The Greeks, the Romans, and the Europeans. And the record of history was crystal clear: Absolute power corrupts absolutely. Left to its own devices, even the best intended government bodies quickly spiral into either despotic anarchy or authoritarian dictatorships. They knew that the most effective means to constrain a government from coming to dominate the lives of the People was to make that government subordinate to and dependent on the People’s will. Likewise, they recognized that individual rights are gifts from God, or nature, and that respect for and protection of those rights must be placed at the center of just government. Furthermore, the Framers recognized that government must be restrained not only by a written and explicit charter, but by making the powers contained in that charter specific and limited, the road to hell being paved with good intentions. In addition, they saw that the preservation of the liberty of the individual requires that government power be separated out into individual branches, and that as an additional safeguard the powers of those branches be designed to check and balance each other. Finally, the Framers recognized that the essential activity of government, law-making, should be vested exclusively in the hands of representatives elected by both the people (the House) and the people’s state representatives (the Senate, before the 17th Amendment). The president was never meant to reign over the federal government like a veritable king of old, and Supreme Court justices were never meant to substitute their own policy preference for what the Constitution requires. The goal of the Framers is the same goal that many of us still pursue to this day: To protect the freedom and liberty of each and every American. The idea that the U.S. Constitution is irrelevant or does not have any lessons for the modern age is simply incorrect. Not only do organizations like Pacific Legal Foundation fight day in and day out to preserve, protect, and defend the guarantees of the Constitution and Bill of Rights across the United States, but the logic and rationale behind the protections of the Constitution are just as applicable now as they were over 200 years ago.